Compost piles are mounds of nutrient rich organic matter. Generally soil is mixed with compost to enrich it. Instead of doing growing my vegetables the normal way in soil that is enriched with compost, I experimented this year with planting in compost itself. This type of planting works best in a rolling compost pile rather than in a boxed compost pile. The reason is that the compost is turned naturally as you move it around the garden, picking up some soil as it moves. So when you decide to plant in it, the pile will be a rich mixture but not so rich that it will burn the plants. .
I’ve dabbled at composting in the past by using trench composting, and on the spot composting with lunch bags method, but this year I decided to try my hand at a real compost pile. I went out to breakfast in early July and when walking back to my car, I noticed a house with about 18 bags of leaves set out. My industrious husband “made friends” with the owner and she was delighted to give them to us. We ran over them with a lawnmower and they became the base of several piles of compost to which we added materials as the summer progressed. Lawn and garden clippings and a pail of household vegetable scraps and odds and ends, coffee grounds, peanut shells, dog hair and whatever other organic thing I could lay my hands on got gradually added to the compost pile. I just kept moving the piles from one spot and turning the compost piles over to another every couple of days. The changed that happened with the compost as the days progressed was amazing and had me really hooked on this type of composting. By the end of July, I had several piles of compost that had broken down to about 1/3 of the original amount and looked like the sort of stuff one finds in a forest floor – nice rich, dark humus. It smelled wonderful too – so earthy. I could not believe the pile had matured so quickly. By this time, my vegetable garden was partly planted with tomatoes, green peppers, corn, beans and carrots. Now it was time to use my finished piles of compost as a planting medium. 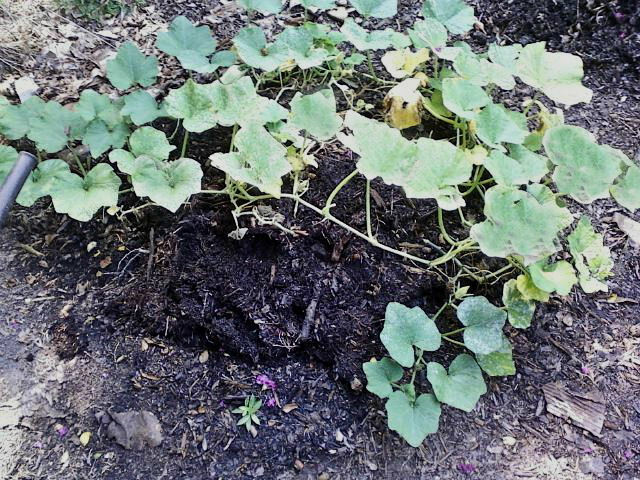 I added some top soil, stirred it all around and planted butternut pumpkin seeds right in the compost. In just a few weeks, I had a plant that looked like this. And lo and behold in just a few more weeks, I had some butternut pumpkins starting to grow. The pile is really starting to produce well. This morning when I went out and looked, I had two more babies. My experience with planting in compost showed me just how quickly things happen. It is really surprising! I guess it’s safe to say that compost pile planting works for me. Since I have only tried this type of gardening in a rolling compost pile, I don’t know planting in normal compost piles works. I did find one article that talks about growing plants in compost bins which is interesting, though. What else grows in a compost pile? 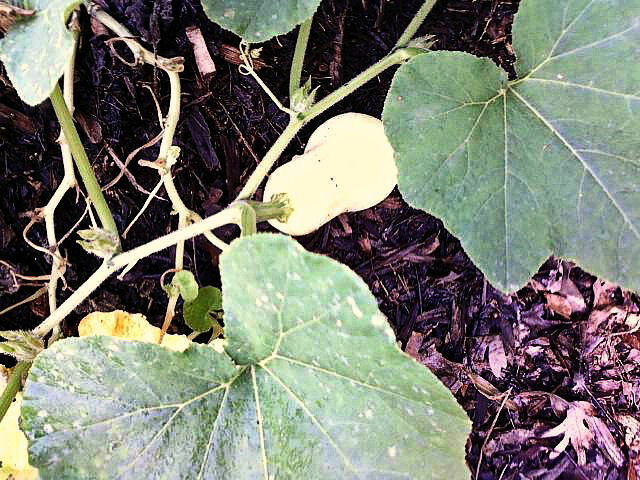 As the summer progressed, I planted cucumbers and summer squash, as well as watermelons into three more compost piles. All seem to be doing well. This watermelon patch is really growing quickly. What about you readers? Have you ever tried planting directly in a compost pile? I’d love to hear your experiences in the comment section below. UPDATE: At the end of the growing season, I just left the compost pile in place. I didn’t plant anything in it…just added more and more kitchen scraps and yard waste to use as for normal compost. 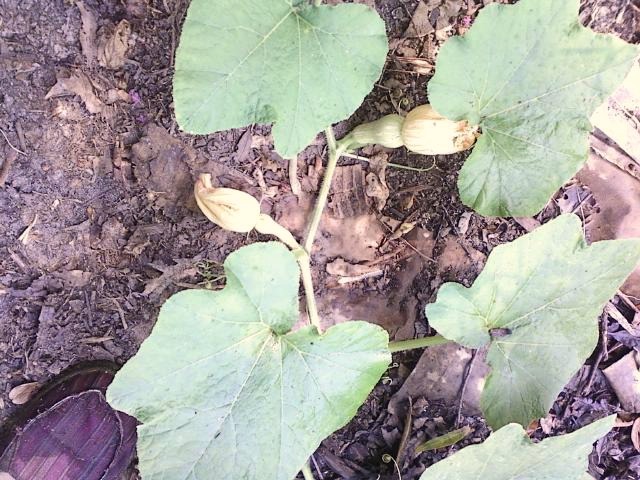 One day last summer, I went outside and found HUGE butternut pumpkins were growing. They were at least a foot long and 8 inches across. I assume they grew from the seeds in the kitchen scraps. What a bonus! Obviously, pumpkin seeds love compost! With this experiment finished, I thought about the benefits of planting in compost. What should go in a compost pile? Admin note: This post was first published in October of 2012. I have updated it with more information and new photos for a more complete article. 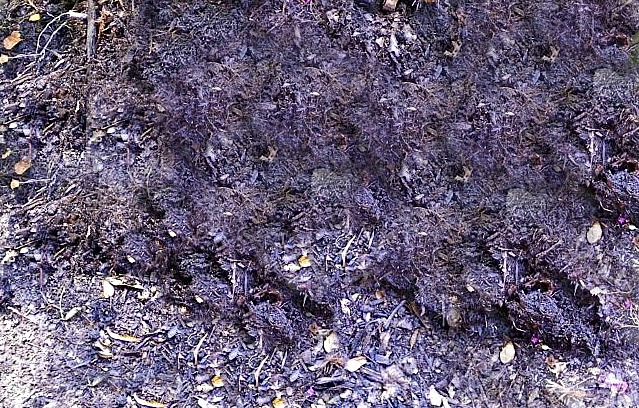 A good compost piles needs greens and browns, but what does that mean? 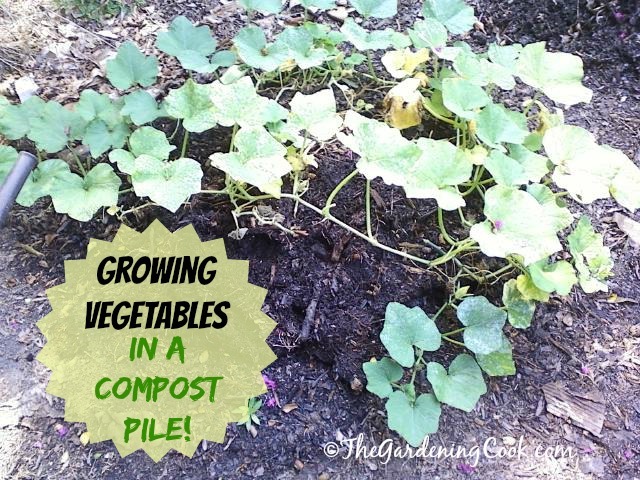 See these articles for more ideas on what to add and what NOT to add to your compost pile. I’ve done it by accident a few times, does that count? 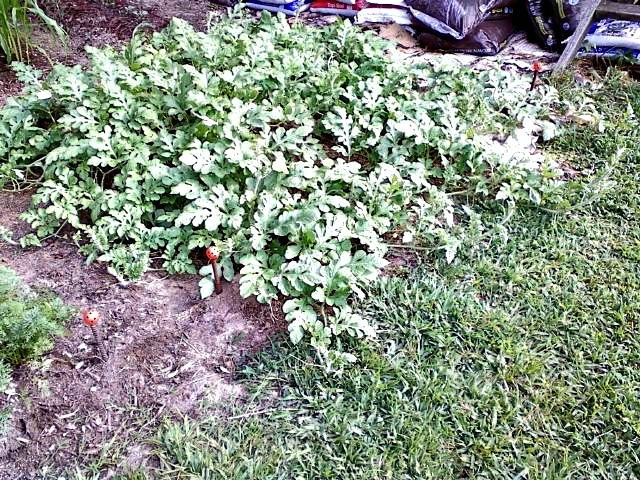 I would have thought the pile would get too hot for tomato and squash seeds to survive, but there have been several years that I had the best tomatoes just from those germinating in the pile – they love it! Hi Jacki, this pile had cooked a bit and I had moved it once. (I use a rolling compost pile method.) So, it had sort of broken down. 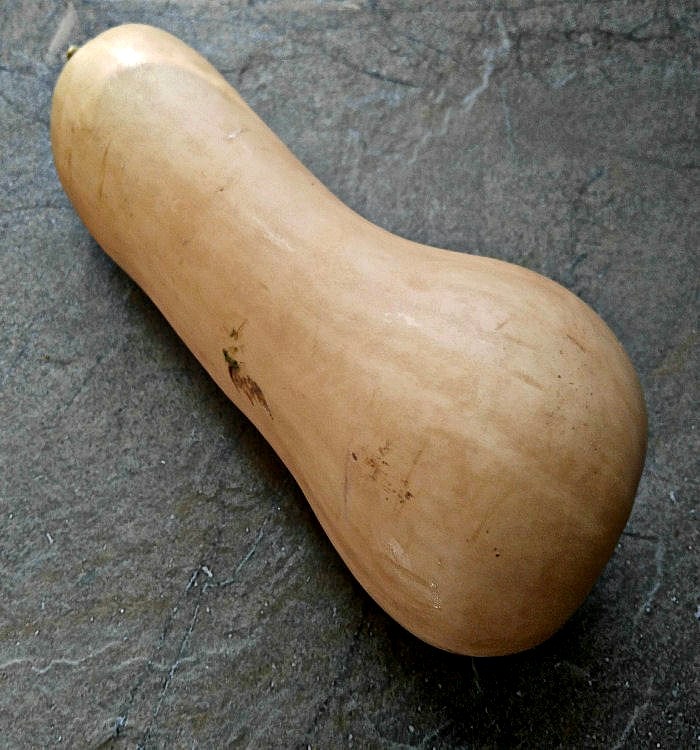 Sure was good for the squash though!